The African Queen Studio is a small, very creative business, based in McGregor, a rural village in the Western Cape of South Africa. 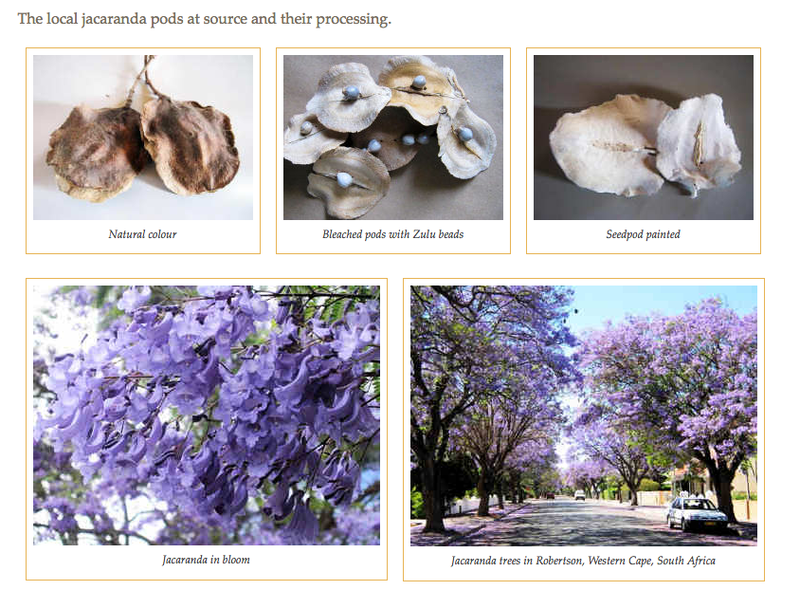 At present the team of the African Queen Studio is inspired by dried jacaranda seedpods, collected in our rural area. The fascinating shapes of the individual seedpods have led to the creation of our exquisite seedpod chandeliers, which have received international acclaim and are now being exported far beyond our South African borders. We specialise in custom made pieces. For more images of our fabulous creations, please visit our Eco Decor page.